What to do with a boxful of winning dog show ribbons? 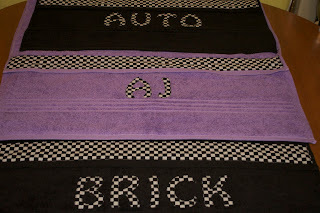 Get creative and make stuff!! 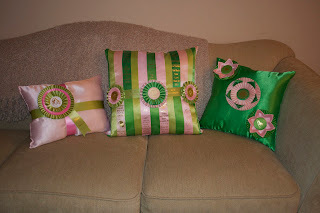 A friend saw on a website that people were making ribbon pillows and wreaths, so we thought we'd try it out too! 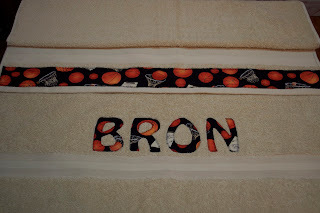 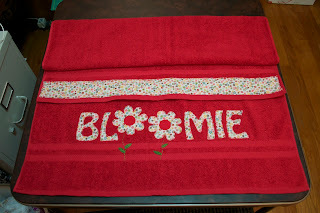 I think these ribbon projects turned out AWESOME! 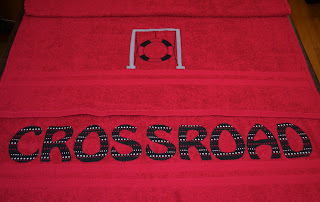 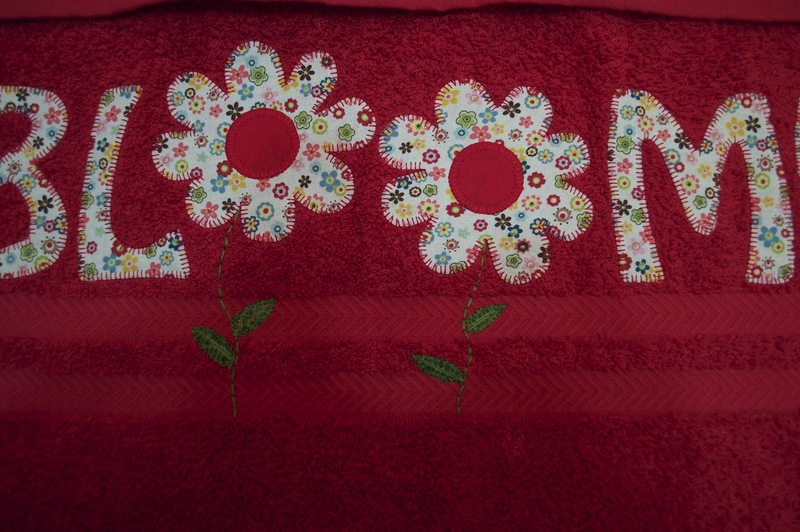 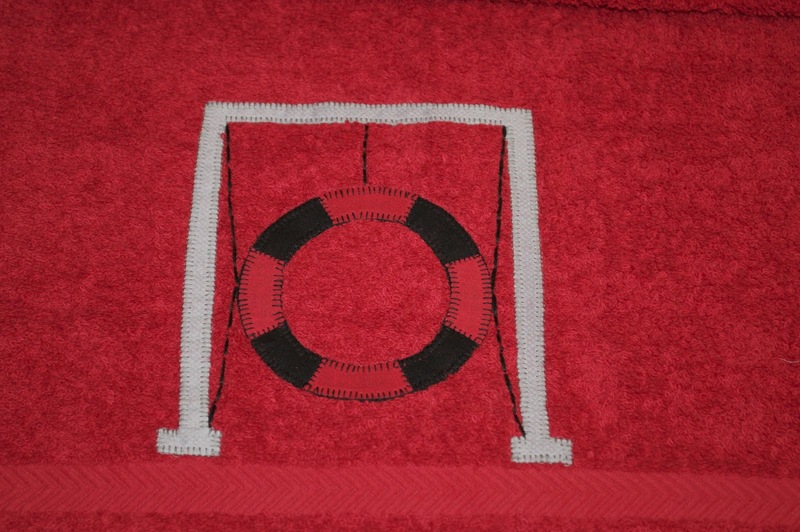 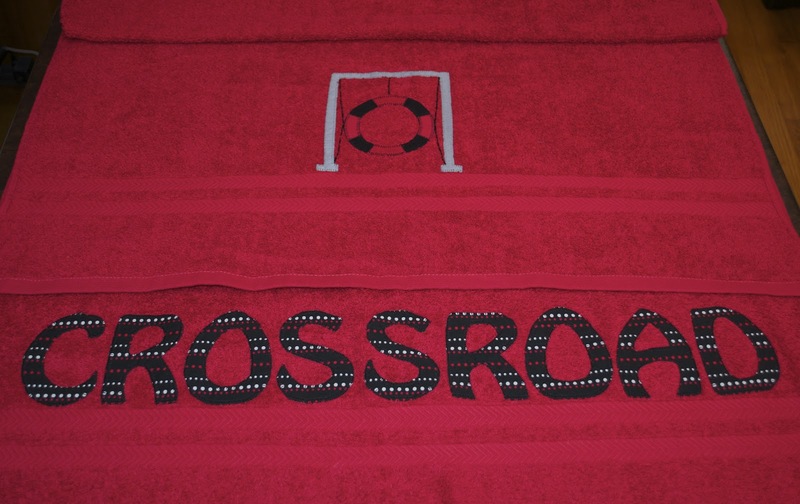 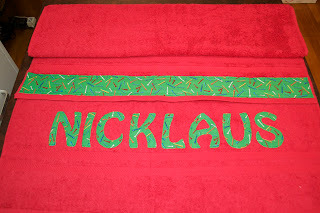 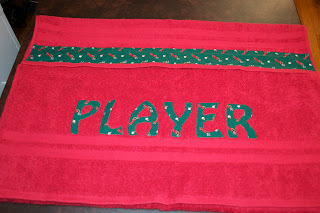 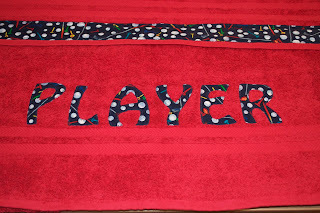 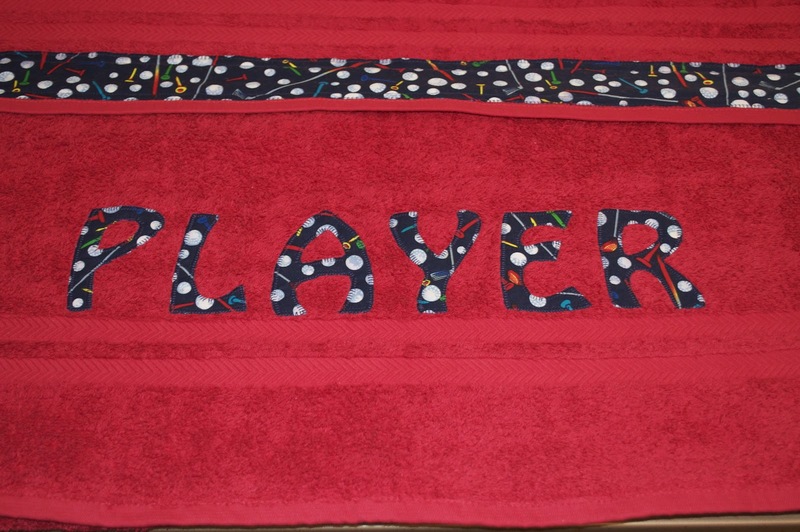 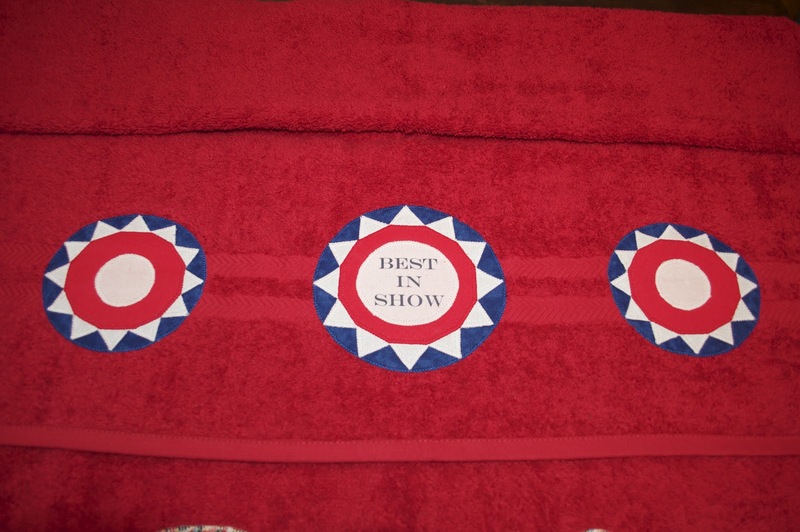 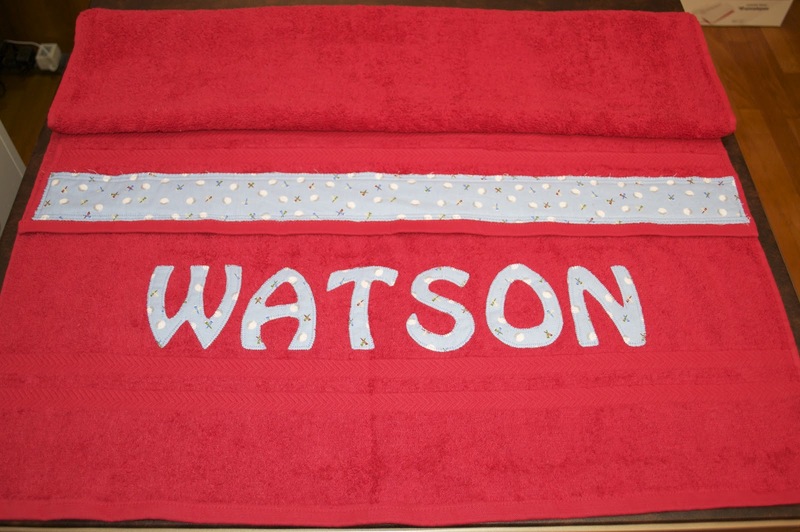 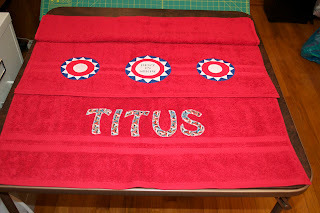 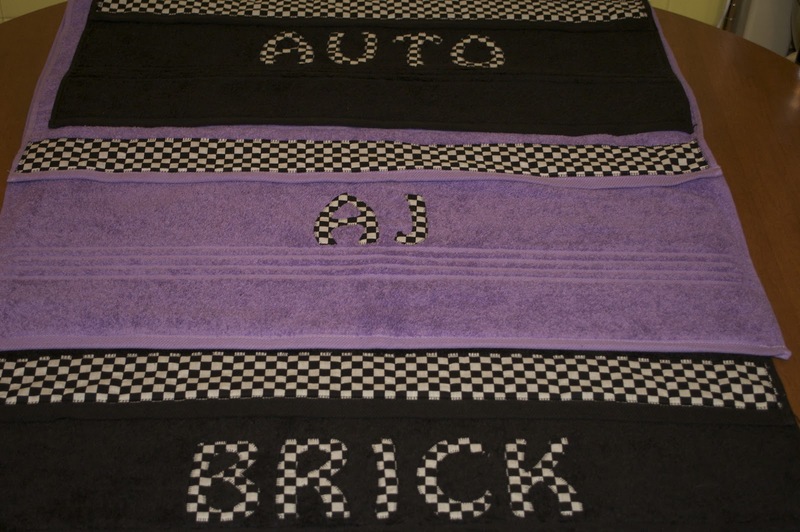 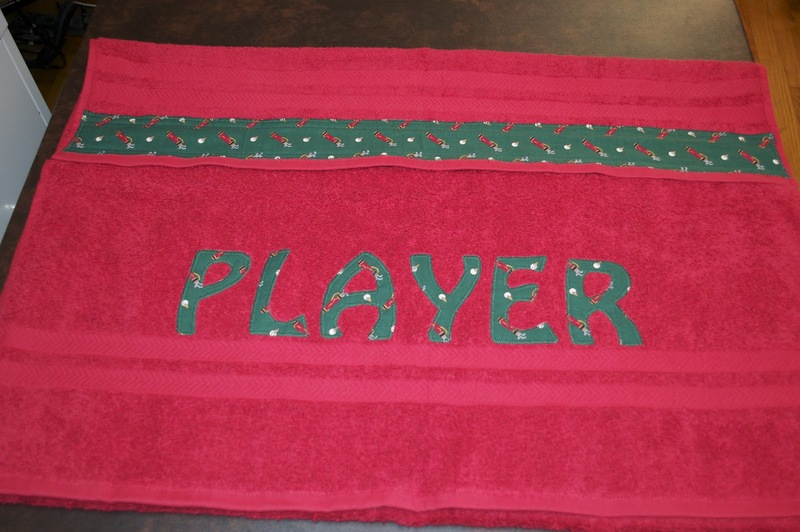 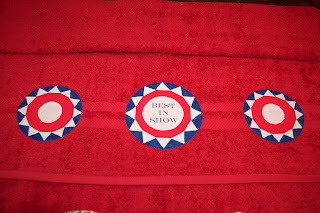 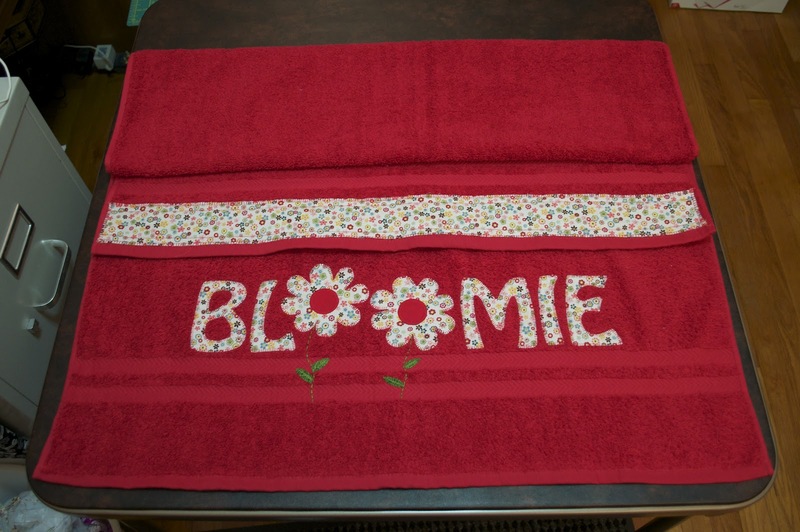 I was also asked to make several show towels for my English Springer dog friends. 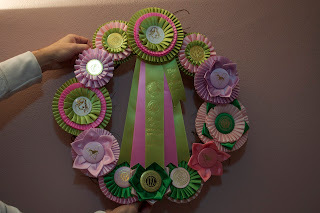 I can't wait to see these on the dogs at the shows! 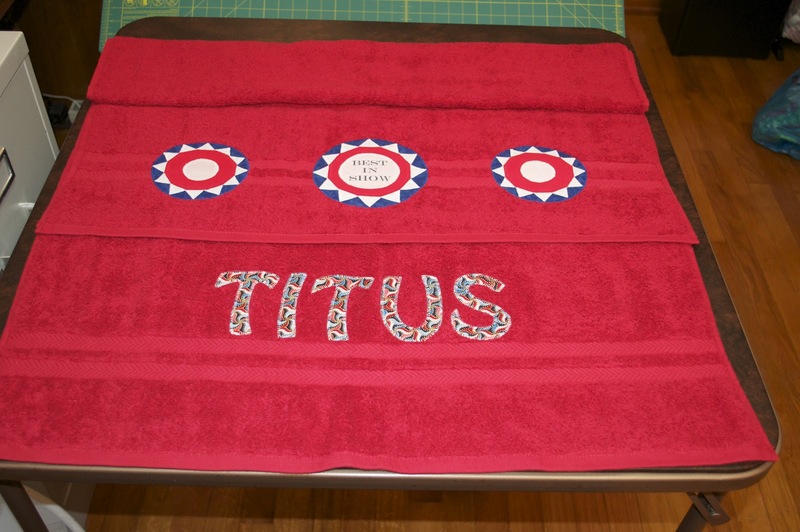 Now, I just have to make my own dog's towels!